Enrique Pacheco is a professional cinematographer from Spain, and the most awarded time-lapse author on our site. That’s why we’re proud to interview him on this page too! You already know that: we love to tell story of success, those of the “a time-lapse can change your life” kind. We are therefore proudly publishing this exclusive interview with Enrique: enjoy it! Enrique Pacheco is a professional cinematographer from Spain. He has been working in video production for more than 10 years, but Enrique’s career changed when he moved to Iceland. There he started to specialise on time-lapse and DSLR cameras, exploring the raw landscape of Iceland and shooting some of nature’s most volatile subjects, such as active volcanoes, glaciers, waterfalls, and the traditional culture of Iceland. Some of his latest short films have been very successful in Vimeo (and Time Lapse Network too! ), and are all long-term self-productions made with great effort and passion. 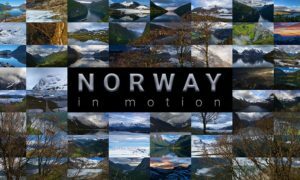 Since 2008 he has been conducting many different workshops in DSLR and time-lapse photography both in Iceland and Spain. Since 2012 Enrique Pacheco is sponsored by Sony Spain and Kietacam. watch Enrique Pacheco’s time-lapse videos previously covered by Time Lapse Network! Ciao Enrique, and thanks for accepting our interview. It’s amazing to see how far you went, in the world of time-lapse making.. and in a smaller perspective, also on Time Lapse Network. You are probably the author who has seen the greatest amount of featured videos on Time Lapse Network: congratulations! 1. How does it feel like being the most awarded time-lapser on our community site, and what do you think about the site? Hi Marco. It´s an honor for me to be featured at “Time Lapse Network”. I know you are doing a hard job researching and publishing videos in your web. It´s not easy to keep track of everything out there, and I follow Time Lapse Network in the social media space. 2. It seems you’re living a very cool life – at least, the one that lots of us always wished for themselves. You travel the world a lot, take your time for shooting videos and time-lapse sequences, and produce very high quality contents. Our question is: Can you make it for a living? Are you asked to create such videos or you simply make them and earn money by selling rights? How does it feel to be so free.. and most of all, have you always done this in your life? I am fully a freelancer and an independent filmmaker. Usually I don’t do assignments, I just shoot what comes to my mind, and yes, in order to do so I have to travel quite a lot. This year I’ve been in a different country every month, crazy. I think I must be one of the few professionals in my field that can actually make a living out of shooting timelapse. I know most of people that shoot this kind of content and publish their videos in internet are amateurs. I work mainly with Getty Images, they license my work in exclusive, and so far I can’t complain, my work sells really well and this allows me to keep traveling and shooting. 3. We know that you shoot timelapses using your amazing Sony A99, which is actually not really spread that much over our community. Is it a simple Sony brand-addiction for you, or did you find special features or possibilities that you could not find in any Canon / Nikon gear, which make your life easier when doing your job? Let ́s say a bit of both. Sony Spain approached me last year and offered to sponsor me, but at that time I was using Canon and they didn’t have the Sony A99 yet. But when they released the a99 I thought it was time to change. Its electronic viewfinder, the luck of moving mirror and the foldable screen really got my attention. Today, after a year shooting with the a99 I don’t see the way back, I’m happy with Sony and the results. It also proofs that the camera is not what really matters, today you can get good results with almost any tool. 4. In your opinion, who are the greatest time-lapser that you know and follow? I don’t think I could pick up just one name, it wouldn’t be fare. I love the work of Dustin Farrell, I had the chance to shoot with him in Iceland a couple of times, he is also a wonderful person, incredible fun and interesting. Then there is Joe Capra, we both love Iceland and share the passion for this country, but it was L.A where we met. He showed me his favorite spots, we had great time. He has a great eye, and his video from Iceland has reached an insane number of views. So happy for you Joe! And last but not least, I need to mention the work of a good friend from my Country, Jose Antonio Hervas. He has released 3 amazing videos about his homeland, the island of Ibiza. I think he is probably the most talented timelapser In Spain for now. 5. We believe that producing very high quality time-lapse videos can somehow bring benefits to an author career. Do you agree with it? And if so, how is your life and work career changed with time-lapse production? ￼The key of success today is creating good content, there is no other way. ￼Thanks to the internet it ́s so easy to reach a wide audience, so the only limit is the quality of your work. My professional life changed when I captured the volcano eruption in Iceland, those were my first timelapse shots, kind of experimenting, but after watching the results I realized that timelapse is a powerful tool that can help me express my vision. I never really planned to become an expert in this field, it just happened by chance. 6. We are very interested in knowing how you perceive the professional time-lapse production market these days. I think the market in timelapse is huge. There is a big demand for good content in many fields, landscapes, cityscapes, etc. Also big construction companies are getting really interested on timelapsing the process of construction. Many people are getting assignments to shoot timelapse or are selling their own footage for advertising. If you look carefully you will see timelapses in almost all kind of productions. This is good for us. 7. Do you believe there’s still a chance for amateur and pro videomakers to get out there and become worldwide known with a great time- lapse production? It ́s getting more and more difficult to get awareness from a timelapse video. I remember when it wasn’t very difficult to get tons of views from this kind of work. But you never know what people will like and share, I have seen amazing videos with just few thousand views and others very mediocre with a couple of millions. Still, this will give you some recognition in the small niche that is the timelapse world, but will never make you famous. And even if you get a bit famous, this wont ensure you to make the right profit. 8. Last but not least, would you like to share a few secrets with your friends at Time Lapse Network about producing such high quality videos? As I always say to the people that ask me via email or on my website about the secret of the quality of my videos, there is no secret. No shortcut, no magic formula, just the result of many years of experience in photography and videography plus thousands of hours of trial and error in timelapse. There is no other way to succeed. Just keep trying! As the project founder, I would like to thank Enrique very much indeed for his time, kindness and fabulous interview, which I believe is going to represent a true inspiration for all those reading TLI’s pages. Good luck Enrique, and a warm embrace from the whole community of Time Lapse Network!